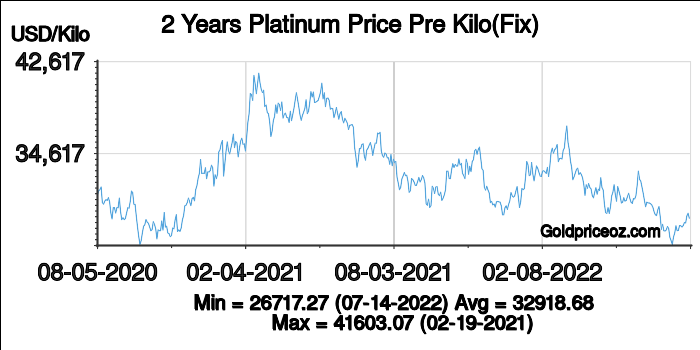 Platinum prices per kilo is a free service provided by Platinum Price OZ website, where shows current platinum price(including bid price and ask price) and platinum price history chart(London platinum fixing). 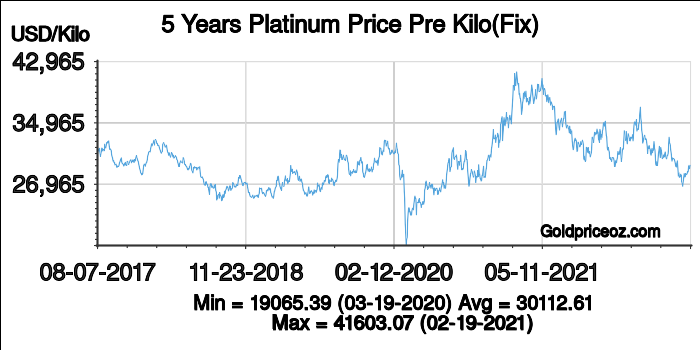 Platinum price per kilo today is being updated once every 1 minutes. 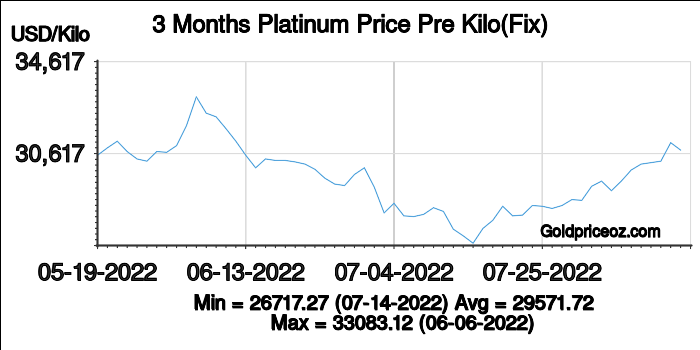 The kilogram is a base unit of mass in the International System of Units. Its SI unit symbol is "kg". The kilogram is a large unit for platinum. 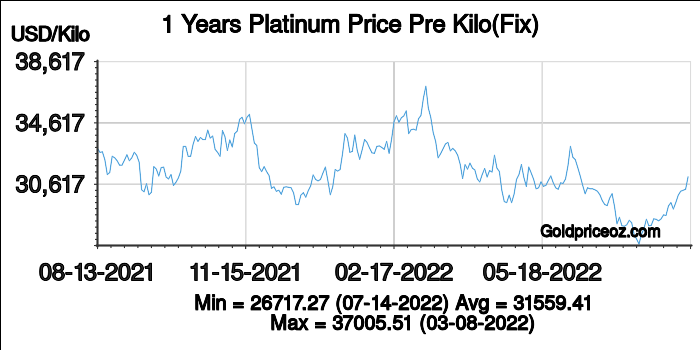 It is often used on the big platinum brick.